Unfortunately, the dress you are looking for (Style: AS-A8849D10A58, Name: AS-A8849D10A58) is no longer available. 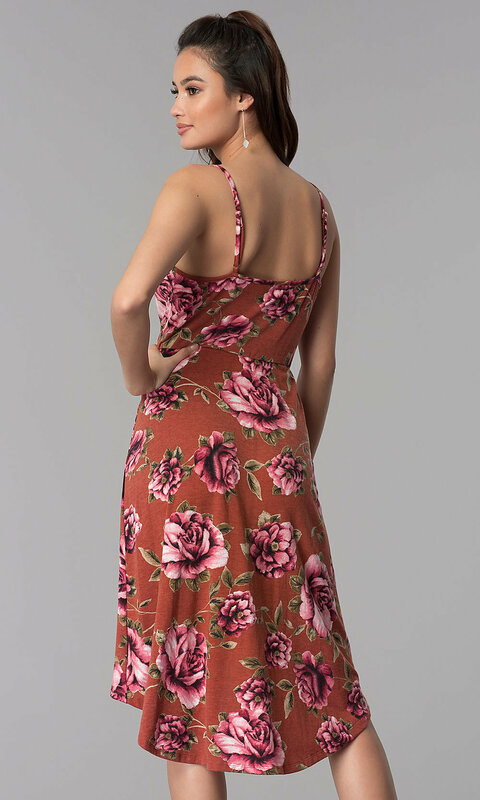 Here's a short casual dress by As U Wish in warm rust-brown colored cotton softened by a floral print in beautiful shades of rose. 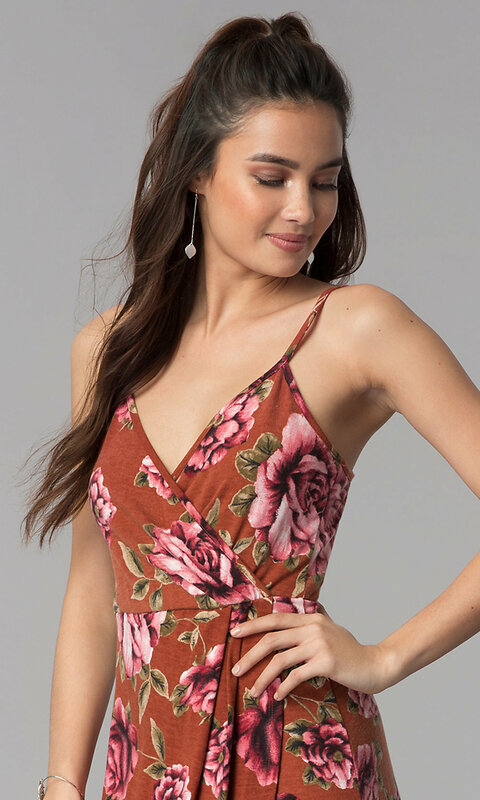 Fluid and feminine for family celebrations and vacation escapades, this high-low dress has a crossover surplice v-neck bodice with adjustable shoulder straps. 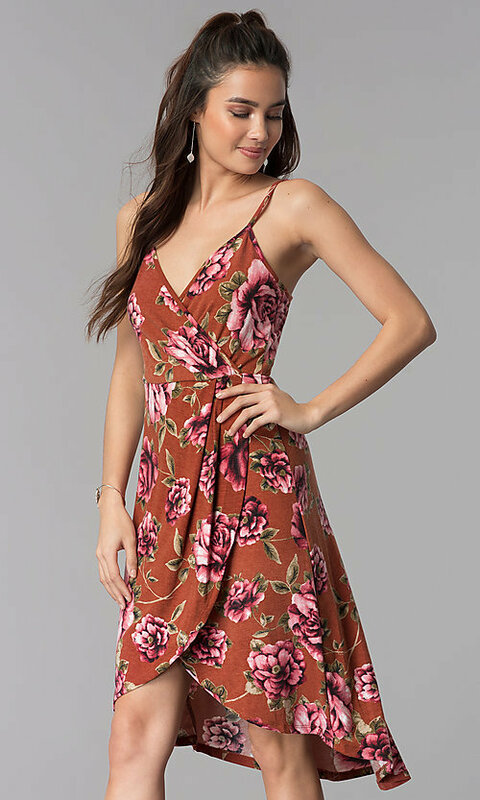 The floral-print casual dress flows over the hips to end in a high-low tulip-style skirt. At under $50, this short party dress is affordable and comfortable for date nights, outdoor parties, and sea-side restaurants. The model is 5'8" and wearing 3" heels.